Home / News / Politics / What mainstream media is not telling you about Mayor Halili’s death? What mainstream media is not telling you about Mayor Halili’s death? Tanauan City Mayor Antonio Halili who was killed on Monday claimed two months ago that he was being "politically harassed" by reason of the Liberal Party, and blogger Sass Sasot said that perhaps the suspect should be the previous administration of Benigno Aquino III. 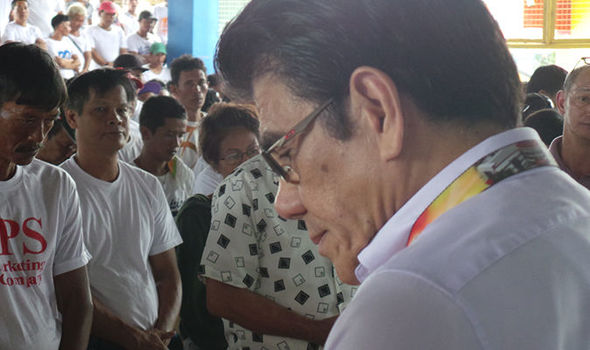 Halili was shot dead with just one bullet during the Monday flag-raising ceremony in the Tanauan City Hall on July 2. CCTV cameras captured his last seconds from different angles, but no suspect could be spotted in the clips. The slain mayor 9in the video taken two months ago, said that he ran under the Liberal party before but after he announced his support to President Rodrigo Duterte, his anti-crime group was allegedly harassed. Sasot said that this fact was hidden by the mainstream media. "Two months ago, in an interview, with Magandang Gabi PIlipinas Ceasar Soriano, Mayor Halili categorically said that he was PERSECUTED by the Aquino Administration since he started to declare support for Duterte. So sino dapat ang suspect?," she said. Halili said that the anti-crime group was aiding the Philippine National Police in their anti-crime operations. "I was persecuted because I supported Duterte," he said. He reiterated that it was his declaration of support that caused political harassment. The interview was conducted after the Mayor was stripped of his power over the police since November of 2017. He said that the reason why this happened was that the intelligence report which was received by the PNP under Duterte was one which they inherited from the PNP leaders of the previous administration. President Rodrigo Duterte claimed Halili was killed precisely because of his alleged links to the drug trade. Mayor Halili's family disputed the President's pronouncement about the suspected links to drugs and asserted his innocence. What mainstream media is not telling you about the assassination of Mayor Halili? Two months ago, in an interview, with Magandang Gabi PIlipinas Ceasar Soriano, Mayor Halili categorically said that he was PERSECUTED by the Aquino Administration since he started to declare support for Duterte. Bam Aquino, eh according to Mayor Halili ang Liberal Party of the Philippines pala ang nang-haharass sa kanya at nag pepersecute, since nag-declare sila ng support kay Duterte....Ano po masasabi ninyo dito sa kanyang interview 2 months ago?